This is a sponsored conversation written by me on behalf of Amopé Pedi Perfect™ . The opinions and text are all mine. As a distance runner (marathons and ultra marathons) I am constantly thinking about my feet. In fact, just this past weekend, I ran the Dallas marathon. It was a great race, and to top it off, Meb Keflezighi gave me my finishers medal! I also really loved seeing Dallas and exploring the city a little. I had never been there before outside of a few trips through the airport. But the race also left me with some rough areas that I’m sure will need smoothing out in a few weeks. I also have a lot of runner friends with the same concerns. It seems like foot issues are definitely a common concern among runners! 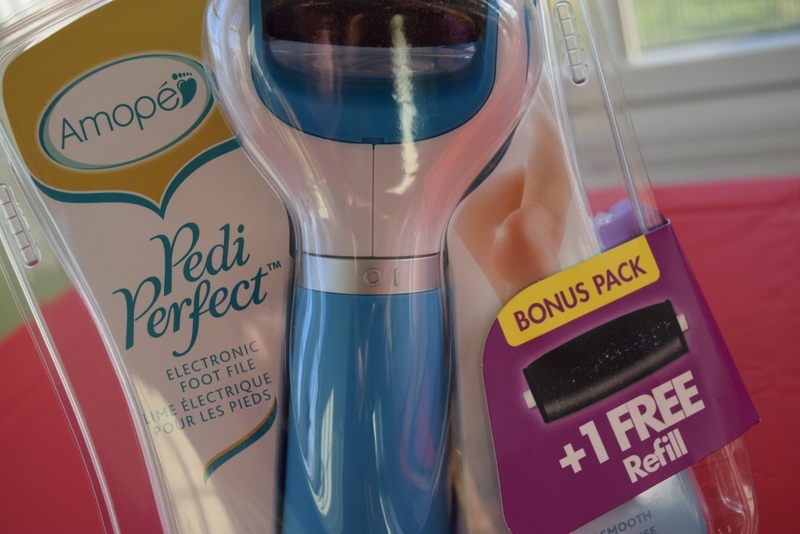 Because of that, the Amopé Pedi Perfect™ electronic foot file is perfect, both for myself and as a gift. 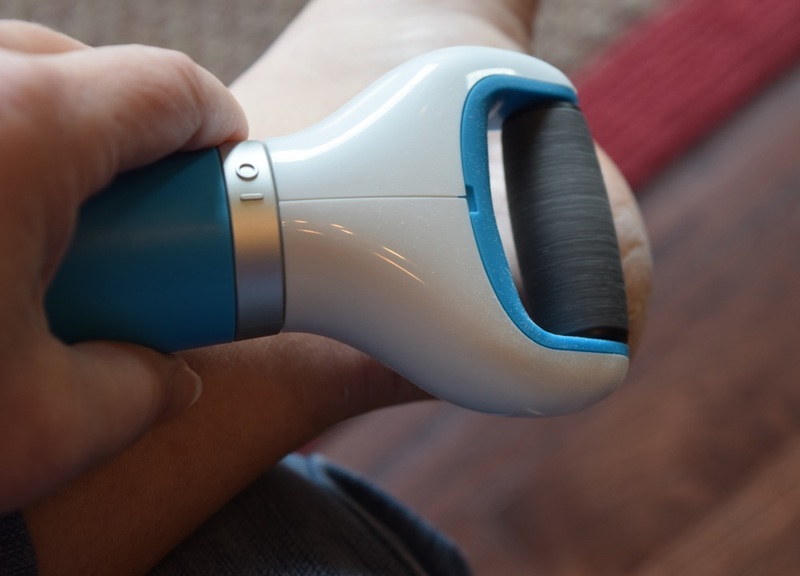 This neat little device is perfect for smoothing calluses, which I have a fair number of, and for general foot exfoliation. It is super easy to use and very effective! 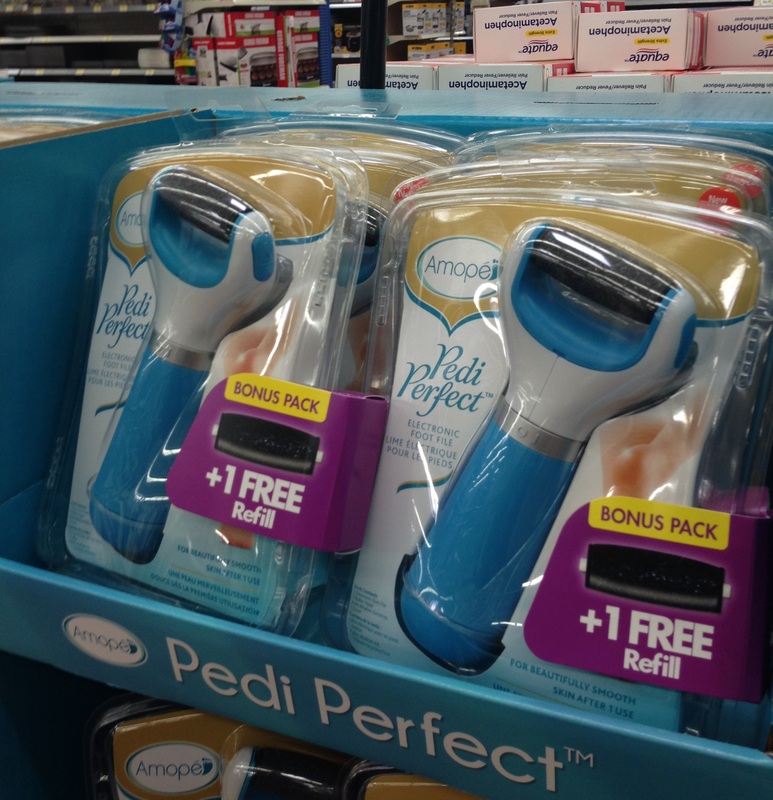 I went shopping for the Amopé Pedi Perfect™ at Walmart, where there is an exclusive bonus pack special. With that, you can get an Amopé Pedi Perfect™ Holiday Bonus Pack with a free refill. At my Walmart, the product was easy to find. There was a big display of them in the middle of the aisle in the personal care section. My Walmart was quickly selling out of the bonus pack items, but I found a couple of them to buy. The Amopé Pedi Perfect™ helps to remove rough hard skin and will reveal smooth results after just one use. It is specially designed with a Micralumina roller head, which exfoliates the foot through a gentle and safe rotating action. It exfoliates quickly and easily with an ergonomically shaped head for easy handling. Microabrasive particles on roller surface work to gently remove dead skin, and there are no sharp blades, so it is safe to use. Using the Amopé Pedi Perfect™ is easy. The device comes with batteries and it is easily held in the hand. Simply insert the roller into the device, making sure it is fully engaged. Then, insert the batteries and turn it on. For best results, start with clean and dry feet, but don’t pre-soak them. To use the product, simply turn it on and gently move it over your feet, applying light to medium pressure for no longer than 3-4 seconds in any one spot. 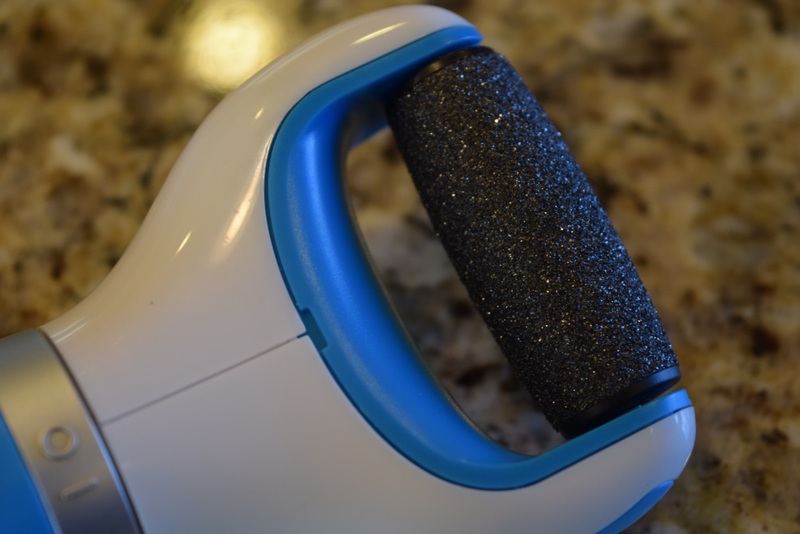 The device will go to work on removing dry skin with really no significant effort on your part. Continue with regular passes until your feet are smooth. You can then use the device in successive sessions until they are completely soft and free from dry skin. You can customize how often you use it to meet your own needs. I have calluses on my heels that need work and I am getting ready to go on a holiday vacation to Mexico, so I immediately put the Amopé Pedi Perfect™ to work on those areas. 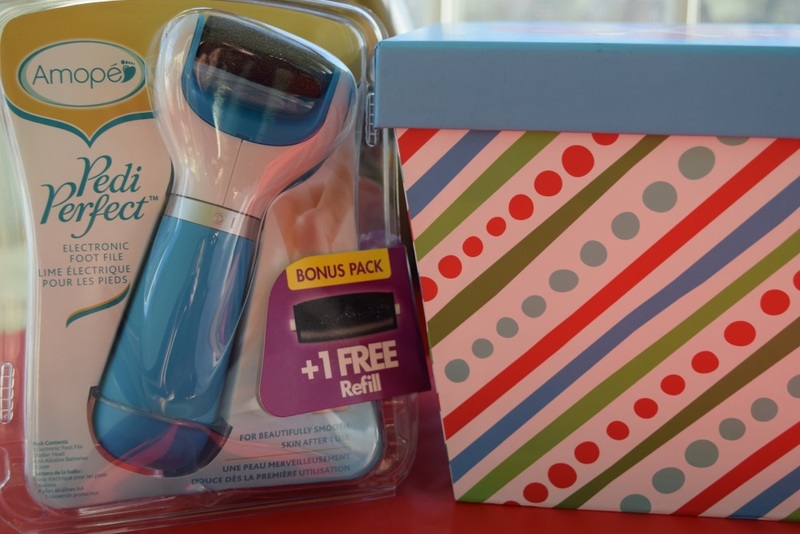 Of course the Amopé Pedi Perfect™ also makes for a perfect gift. I packaged one up as a gift for a running friend who I know will appreciate the ability of it to go to work on dry callused skin as much as I do. Just like me, she often complains of callused feet and battle blisters that can be caused my calluses rubbing on the shoes. So, I’m excited to give her an Amopé Pedi Perfect™ and hear her reactions to it. I picked up a cute gift box to put it in with some tissue paper. I am not the best with wrapping paper, so this is a nice easy way to package up the gift. I’m sure my friend will love it! 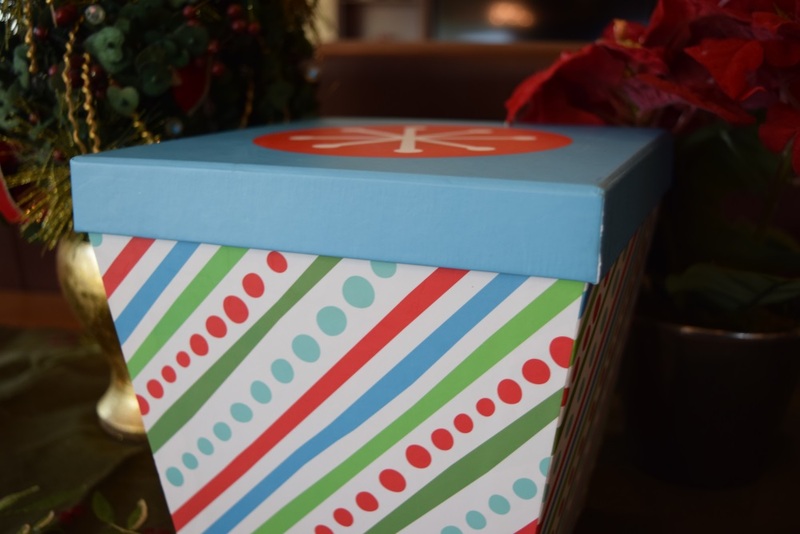 Give the gift of an Amopé Pedi Perfect™ this season! Head out to Walmart and grab the holiday bonus pack and get one for yourself while you are at it! This is a sponsored conversation written by me on behalf of Amopé™. The opinions and text are all mine.